This will be yet another one of my long-winded, detailed trip report. I hope some of you will find this helpful and informative. DH & I, both in our mid-30s. Budget-minded but not on a strict budget; meaning that we don’t spend $ on taxis or 3* Michelin meals or 5* hotels, but we won’t scrimp on admission fees or opera tickets. 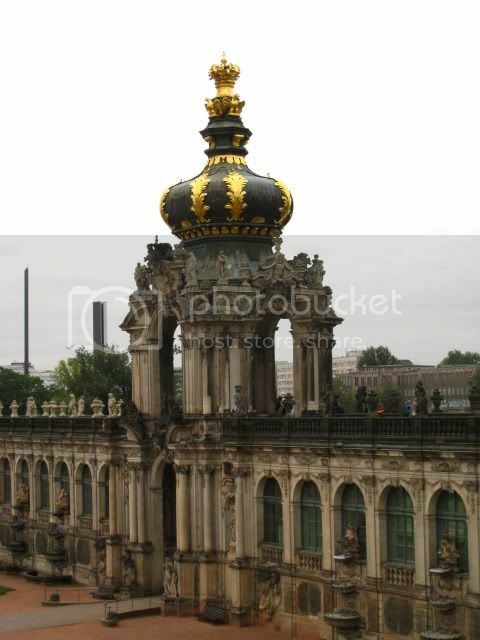 I was in Berlin once before, in 2003 with my parents. I wasn’t even interested in going then, but my dad really wanted to go because he was last in Berlin in 1961 just before the Wall went up. He wanted to see what it has become. 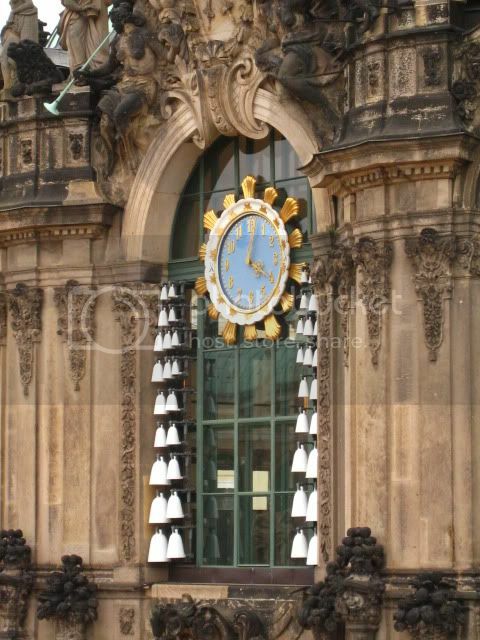 On that 2003 visit, I was intrigued by this city – by its complicated yet fascinating history. We were there for about 4 days and that was not enough, so I have been longing to return. In fact, most of the places we visited in Berlin this time are *new* to me! Neither one of us has been to Dresden. We bought our plane tickets about 2 months before our trip. AA had an Europe sale in early July. We probably could have gotten a better price if we jumped on it sooner. But we still bought them for a reasonable price of $750pp r/t from Boston; with connection at London Heathrow. After I bought our tickets, I was checking ticket prices weekly for another few weeks and never saw the fares as low as the one we got. 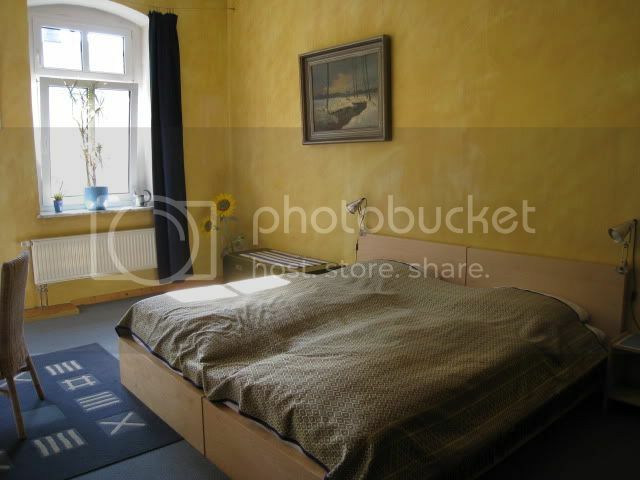 From the very beginning, I have decided on renting an apartment for a week in Berlin, and taking a side-trip to Dresden. 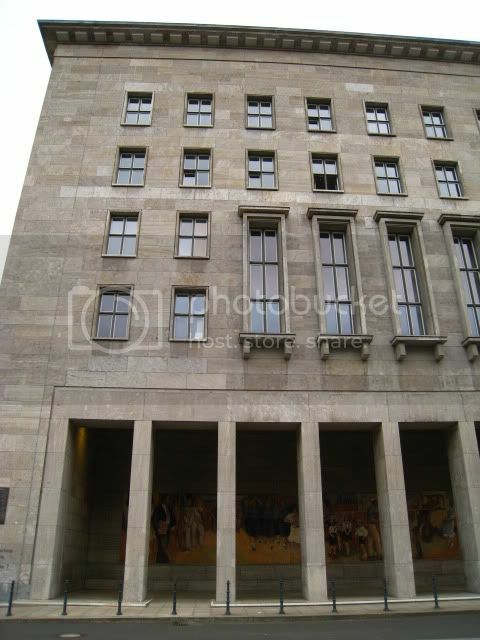 Fodorite sandy_b has posted a positive review on a Berlin apartment, which we rented. I’d much rather rent places with reviews here from regular posters, than random places recommended on TripAdvisor. 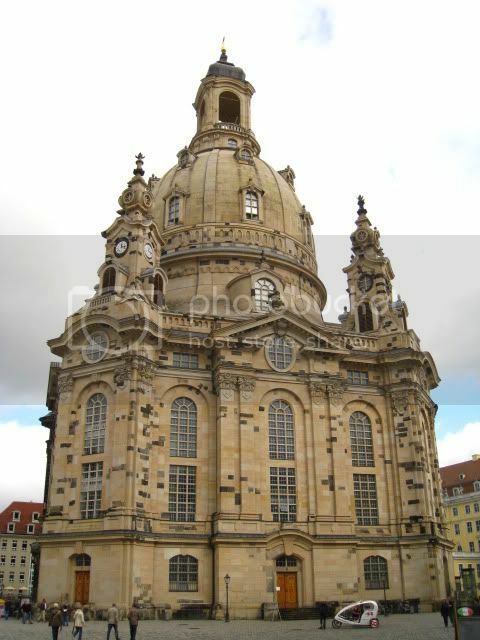 After the apartment issue was settled, I bought our DB train tickets online r/t to Dresden. By buying them in advance, we paid €89 instead of €144 . The only downside is these tickets are non-refundable and non-changeable. But since our itinerary is set, we are fine with these conditions. I booked one night at the Dresden Ibis near the train station for a prepaid rate of 59 euros; vs 79 euros at regular rate. Again, since our schedule is set in stone, pre-paying is not an issue for us. I bought tickets to 2 operas in Berlin (Staatsoper Unter den Linden and Komische Oper), and Dresden’s Historic Green Vault tickets. Our Dresden Fodorite Ingo was kind enough to buy opera tickets at Dresden’s SemperOper for us in advance (the cheaper seats are not available online). 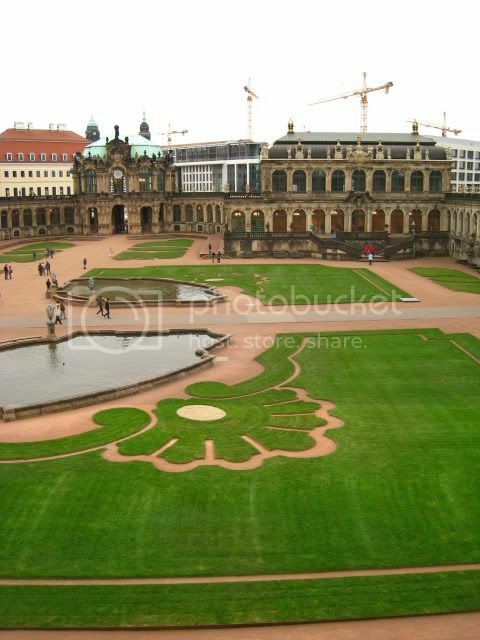 I made 2 dinner reservations: one at the restaurant at Reichstag Dome; another one in Dresden after the opera. 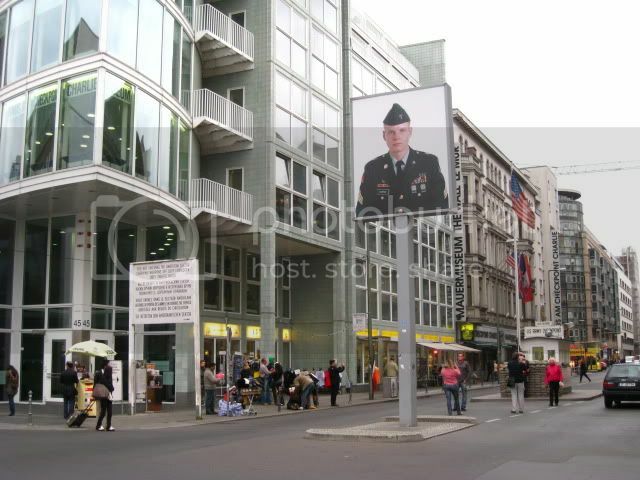 One gallery we visited required advance booking – Sammlung Hoffman. 1) Trip Reports here – esp recent ones by Pegontheroad and danon; and older ones by noe847 and caroline_edinburgh. I also need to thank sandy_b for her help. Books - Since the trip was planned 2 months ago, I had time to read numerous spy and detective novels set in Berlin, by John LeCarre, David Downing, and the Berlin Noir Trilogy by Philip Kerr. Movies/Documentaries – We watched Dresden the movie; made by a German TV station in 2005. http://www.amazon.com/Dresden-Felici.../dp/B000YKT4BW It is a love story set during the eve of the fire-bombing of Dresden by Allied planes in Feb 1945. I definitely recommend this movie. We also watched DVDs of the 3 operas we were going to see on this trip, in order to brush up on the music and synopsis. Which sightseeing pass to get? There are several tourist passes available. The Berlin Welcome Card and the Berlin CityTourCard are somewhat similar. Both include free transportation. One offers free museum entrances, the other offers discounted admission. Both are worth considering if you’re in Berlin for just a few days. We needed a 7-day transport pass (see below), so for the museum segment, we bought the 3-day museum pass (called "SchauLUST-MuseenBERLIN") for 19 euro each. It is dated for the day you buy it, and it’s valid for 3 consecutive days. It covers over 70 museums, definitely more than you can see in 3 days! We used it to get into 12 different museums, so it comes out to about 1,50 euro per museum! This is a very good deal, even if you only go to 3 museums in 3 days. For example, the Pergamon Museum admission alone is 10 euro. Since we were in Berlin for a week, we each bought a 7-day zone A/B pass for 26,20 per person. http://www.bvg.de/index.php/en/17183...cle/77395.html We definitely got our money’s worth as we must have rode on public transit half a dozen times each day. We traveled on S-Bahns, U-Bahns, buses, and trams. The BVG transit map that comes with the pass was a life-saver. It not only has the S/U Bahn routes, but also tram and bus lines superimposed on the map. It lets us use buses and trams a lot more on this trip, so that we can sightsee and rest our feet at the same time. Another super-useful website is the BVG journey planner. http://www.fahrinfo-berlin.de/Fahrin...bin/en?ld=0.1& Every night, I used it to plan out our transit routes for the following day. Overall, I was a bit disappointed with the transit system in Berlin. Perhaps it is still plagued by the S-Bahn fiasco during the summer months, but I’d say that 1/3 of the trips we traveled, took much longer than the BVG journey planner had predicted. I was also surprised that the S-Bahn Ring trains (S41 & S42) run only once every 10 minutes. Or that the U-Bahn runs every 9 minutes at night. Perhaps I was spoiled by Vienna’s transit system (my last trip), which really runs perfectly and efficiently. Berlin’s transit mostly runs on a honor system. You buy your ticket and validate it. You don’t need to swipe it to get on trams, there are no turnstiles at stations. During our week, we came across a spot-check once on a U2 train. The checker was disguised in street clothes. He just boarded our train car, said something in German, showed his ID, and checked everyone’s tickets. I don’t know what the fine is for riding without a valid ticket, but it seems like everybody abides the rule. We had terrible weather for the most part. I was expecting 50s-60sF and some sun. Instead, we had overcast skies and rain showers every day. Temps were more like low 50s; dipping down to 40s at night. I was fairly miserable between the dampness and the cold gusty wind from the Baltic Sea. We saw the sun no more than 5-6 hours total during our entire week there. I'm going to break for now. Next up is our apartment. We rented Apartment 1. It is a spacious studio on the 2nd floor (3rd floor American): 44 steps and no elevator. The bed is 2 twins pushed together, with a fill-in gap foam in between. There is an armchair, and a dining table big enough for 3. There is a small TV with BBC, CNN & lots of German channels. The apt is equipped with wifi. It didn’t work the first 24 hours, but it worked well for the rest of our stay. The windows faces South, so even with overcast skies every day, we still had good light coming through. The kitchenette is small but well-equipped with toaster, coffee maker, electric kettle, mini-fridge, and a stove with 4 burners w/oven. No microwave and no washing machine in this apartment, but it's not a big deal to us. The owner provides ground coffee, coffee filters, hot chocolate mix, sugar. There are 2 pots (1 med, 1 large) and 2 frying pans for cooking. Plenty of dishes and glasswares. The bathroom has a shower stall only. Linens and towels are provided, as well as a hairdryer. This is not a luxury apartment, therefore I would hesitate to recommend it to anyone who is picky or doesn’t want to climb 44 steps once or twice a day. The only complaint I have is the owner rents to smokers as well, so the apt has a faint cigarette smell. The owner also has 2 other larger apartments in the same building. 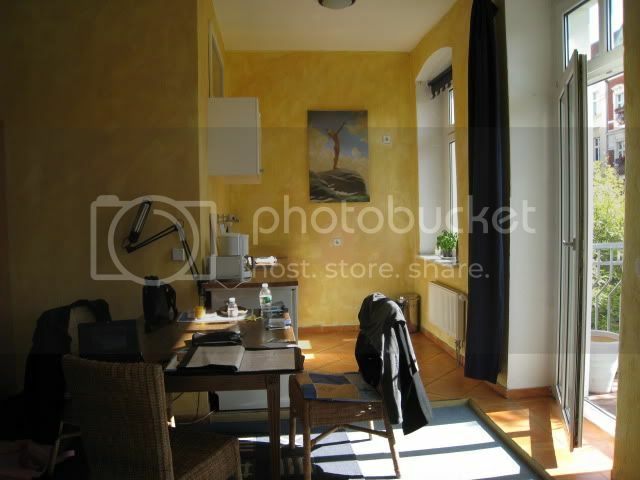 This smallest Apt 1 is fine for us, esp given that we were hardly there. I believe the owner lives in the same building, but now he has someone else in the building to manage the apts for him. The manager-lady lives on the 3rd floor and was kind enough to let me use her laptop on the first day to check my emails when the apt wifi wasn’t working. We did not have to pay a deposit to reserve the apartment. Payment is due in cash on arrival. The rate for Apartment 1 is 50 euro/day. But for a one-week stay, we received a 10% discount, so our total rate was 315 euro for 7 nights. There is a shopping arcade at Schonhauser Allee station. Inside includes a large supermarket, a smaller organic food market, independent bakeries, cheese shop, butcher shop, take-out food stalls, plus many shops/boutiques. There is also a post office in the arcade. On our street is an Asian food market. There are multiple restaurants on our street as well as nearby, but we didn’t eat at any of them. 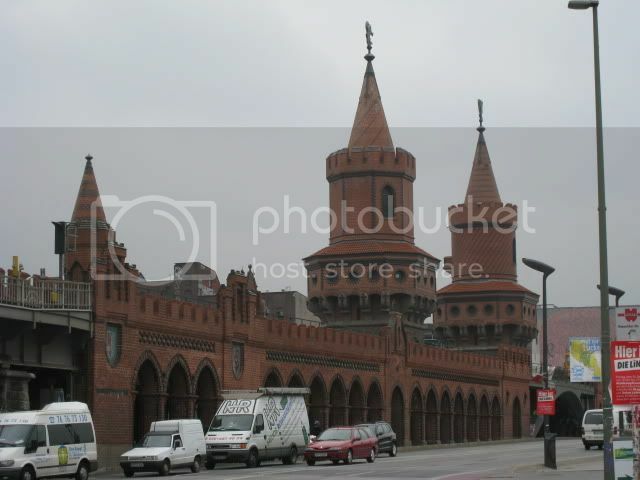 From Schonhauser Alle U-Bahn station, it is 4 stops to Alexanderplatz. The Schonhauser S-Bahn station is along the S41/S42 Ring. Apropos of your comment about the honor system on public transportation, there's a great short movie called "Black Rider" that has this system as its core. A person who rides without a ticket is called a "black rider." In the movie, a young black guy is harrassed by an old racist woman who makes all kinds of ugly comments to him. He's just stoic--doesn't react. But just before the official comes round to check on everyone's tickets, the young guy snatches the old lady's ticket and eats it. The old lady sputters and protests that he ate her ticket, but of course the official doesn't believe her. It's great! I'm looking forward to reading your impressions and experiences in Berlin, since I visited there a couple of weeks ago. We left Boston Saturday evening and flew the red-eye to Heathrow (T3); and then Heathrow T5 to Berlin Tegel. For some reason, our AA flight from Boston had to park at a bus gate at T3, so it added at least another 15-20 minutes just to be bused to the terminal building. Our T3->T5 transfer took 75 minutes. Our connection time was 2 hours, so we had just enough time to stop by the BA Terrace Lounge for breakfast before our flight to Berlin. At Tegel, I found the BVG desk (this Tegel map was quite helpful at my jet-lagged state http://www.berlin-airport.de/EN/Reis...lplan/TXL.html ) and bought our 7-day transport pass. I found an ATM as well, but it was a Reise bank ATM, not Deutsche Bank (we have Bank of America account), so I passed on that. I know from our apartment owner that there’s a Deutsche Bank just around the corner from our apt. Since we travel light with carry-on only (19” for me; 21” for DH; a day bag each), we took public transit to our apartment. It was very easy and took no more than 40 minutes. We arrived around 12:20pm. After we dropped off our luggage, we set off to go grocery shopping. To my slight surprise, none of the supermarkets are open on Sundays. There is a convenience store open, but the German version of “convenience store” = 90% beer + 10% snacks (chips/cookies). We did accomplish one thing – found the Deutsche Bank and got cash from the ATM so we could actually pay for our apartment! Note to self: If staying at an apartment in Europe in the future, avoid arriving on a Sunday or major holiday. We got back to the apartment and collapsed on the bed. Neither DH nor I could sleep much on the flights; we were exhausted. Plus, we have tickets for the opera tonight, so we’d better rest well or we'd sleep through the opera. 4 hours later, we woke up, showered, and felt somewhat refreshed. 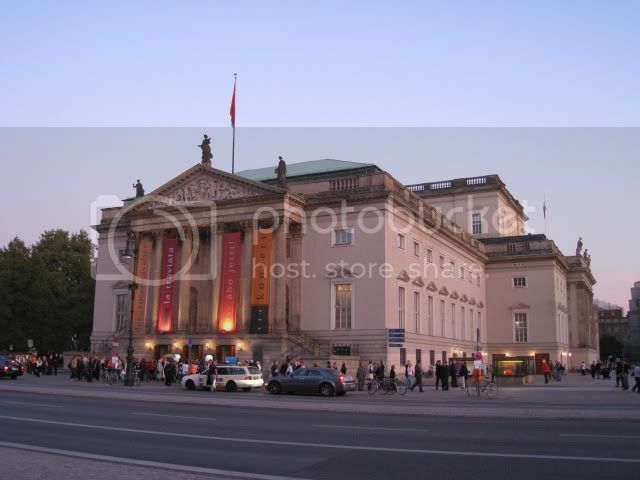 We ate some snacks which we had brought with us, and headed off for Staatsoper Unter den Linden. There are 3 main opera houses in Berlin, with Staatsoper being the most historic, so I really wanted to attend one there on this trip. I chose to see this on our arrival night (crazy, I know) because our other option was the 4-hr long Der Rosenkavalier! 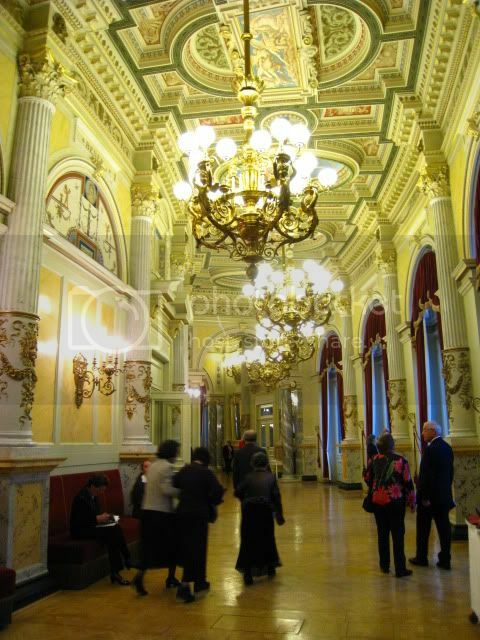 I was a bit underwhelmed by the interior of Staatsoper. There is no grand lobby or grand staircase (like the opera houses in Vienna and Budapest), and the place needs a major refurbishing! The auditorium reeks of sewage smell. In fact, it is due to close for renovations after the 09-10 season, so I’m glad I got to catch a performance this time, even with the offensive sewage smell. 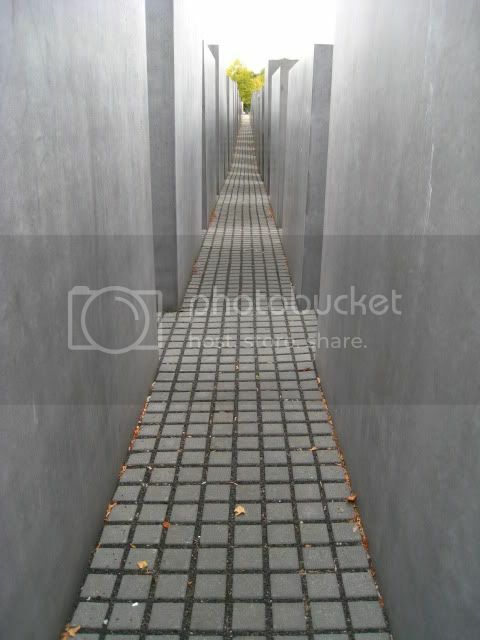 Basically, the entire set was black and empty, save for the floor which was made to look like a 4-lane autobahn. There is a see-thru projection screen at the front of the stage during the entire opera, so we felt like we were watching the opera through a screen door. The projection showed rain drops falling on a windshield (with an occasion windshield wiper moving across!). Basically, the director wanted us to feel like we are watching this from inside a car. Yeah right, a total WRECK IMO! In addition, Violetta was on stage the entire time. Supposedly (again, I didn’t get it until I read the review), Violetta was already dead when the opera begins, so she remains on the stage as a ghost. She is dressed in white, complete with platinum blond hair and white-powdered skin. Everyone else wears black. There is no party at her home, no country house retreat, no party at Flora’s. 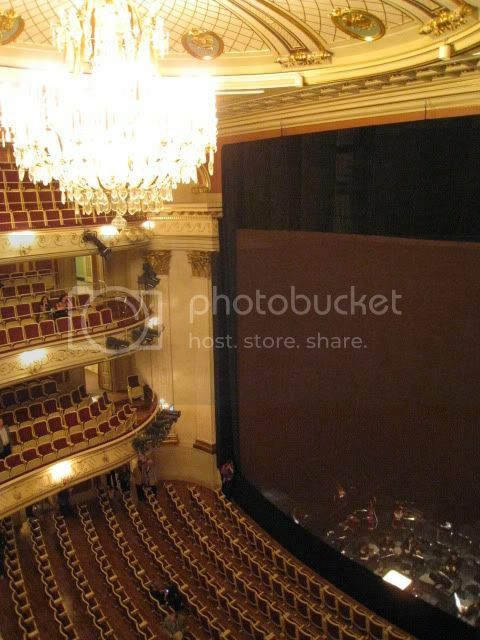 Just an empty stage throughout the entire opera, with the exception of a chair here and there. There is also minimal interaction between the singers. Seriously, the opera would have been 100x better if I had just closed my eyes and enjoyed the music alone; rather than trying to watch this car accident through a screen door! Ending this rather unsatisfying evening, was another snafu. We tried to find Konnopke’s Imbiss to get currywursts for dinner, but of course, it’s closed on Sundays! By then, we were too tired to bother with a real dinner, so we bought some snacks and beer from the convenience store: ate junk food back at the apartment, and went to bed. BTW, today is the German election day. We didn’t find anything out of the ordinary, and the streets were fairly quiet. "we came across a spot-check once on a U2 train. The checker was disguised in street clothes. He just boarded our train car, said something in German, showed his ID, and checked everyone’s tickets." it happened to me the first time I took U-Bahn. I had a "short ride" ticket by mistake, the inspector pointed the door to me - sort of " you have to get out at the next stop". I was also surprised at the time laps between the trains at night ( and on Sunday). yk, your reports are always so informative, looking forward to the next installment! Sorry to hear La Traviata was a mess. Often, modernized productions are disappointing. Peg & danon, thanks for your comments. Your Berlin TRs were very helpful to me before my trip. Peg, any chance you'll finish your TR soon? I'm still waiting for the Austria part! yk, great trip report! Outstanding, I'd say! Sorry about TRAVIATA ... as I mentioned to you, we had the premiere of the new production of the same opera last Friday in Dresden. Better than the one in Berlin, judging from your description. The fine for "Black Riders" is 40 Euro, btw. Awww, you didn't know the supermarkets are closed in Germany on Sundays? Sorry to hear that ... just go to a major railway station - shops/groceries are open there on Sundays. "just go to a major railway station - shops/groceries are open there on Sundays." my hotel in Berlin was next to a big S-Bahn station with a number of stores open Sundays and late in the day. Oh wow, I was just wondering whether your trip was coming up soon, and it's already over? I'm going to start reading now. Great start, yk. Your reports are always the unvarnished yk-truth--this is very helpful, especially for those of us who tend to wear rose-colored glasses before, during and after holidays. Enjoying your report. I've been interested in moving Berlin closer to the top of my "go to" list...this report is certainly making me think I should! Yes, we noticed that the shops at Berlin Hauptbahnhof were open on holidays. Well, I'll file that info somewhere for next time! 40 euro fine doesn't seem that much to me! I was expecting it to be a few hundred euro. MFifi, Leely & LCI, thanks for your comments. I've been having some internet trouble at home on/off, so I may not be able to post the following installments as quickly as I would like. I made a mistake above regarding our tickets for La Traviata @ Staatsoper. Our 2nd cheapest priced tickets were 16 euro each, not 22. Certainly very affordable. 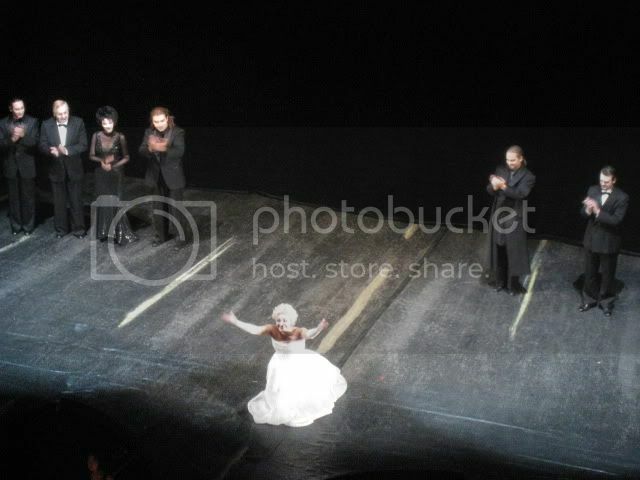 Here's a photo of the curtain call of Traviata. You can sort of see the traffic lanes painted on the floor. Violetta (Ailyn Perez) is in white, everyone else is in black. BTW, the guests at Flora's party looked like Goth Zombies. Hope the internet trouble is solved soon, cannot wait! yk, loving the report. Berlin is a great city. Ingo, nice to 'see' you! Our first goal in the morning was to go grocery shopping, then went back to the apartment to have breakfast. We were amazed by the low prices of food: 1L of milk is 42 cents; 1.5L of OJ is 65 cents! 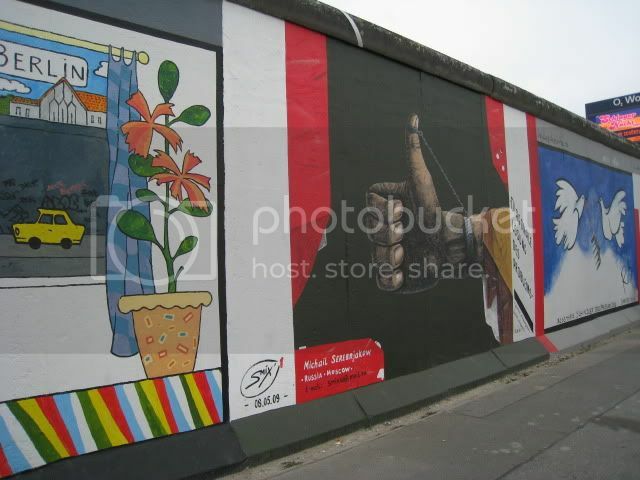 Our first stop is East Side Gallery – the longest preserved section of Berlin Wall, along the Spree River. We walked the entire length (1300m) starting from Ostbahnhof. On the other end is Oberbraumbruke. Second stop is Stasi Museum. We had the hardest time finding it, even though I had address and directions! The building is hidden inside a courtyard, and there is NO sign (at least not in English) anywhere. We asked several people where the Stasi Museum is, but they all said they don’t know. Finally, we ventured into a courtyard, but all we saw is a pharmacy and doctors’ offices. There is a fast food kiosk there, so I asked the proprietor. She pointed to the building just 20 feet away, “That’s the museum!” No kidding, there is still no sign in English signifying it is the Stasi Museum. I found out about this museum from noe847’s trip report. It is okay – probably a lot more interesting for Germans than for foreigners. All displays are in German, but there is an English booklet which one can borrow with a deposit of 5 euro. The 1st floor is most interesting, as it has display cases of various secret surveillance equipment. Eg, cameras & microphones hidden behind rocks or coat buttons; and pistols hidden inside suitcases. It is almost like watching a James Bond movie. 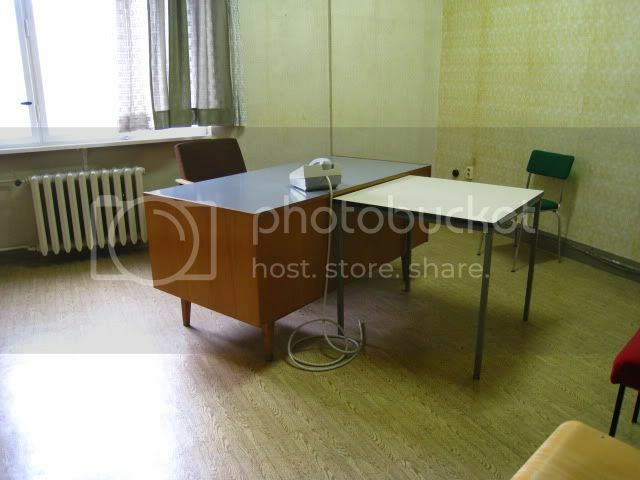 The 2nd floor has remained intact from the Stasi days – still shows the offices of several important officials of the Secret Police, including the office of Erich Mielke. The top floor has room after room of wall panels full of narrative and photos. It was too tedious for me to read the English booklet to match with the panels, so I gave up. 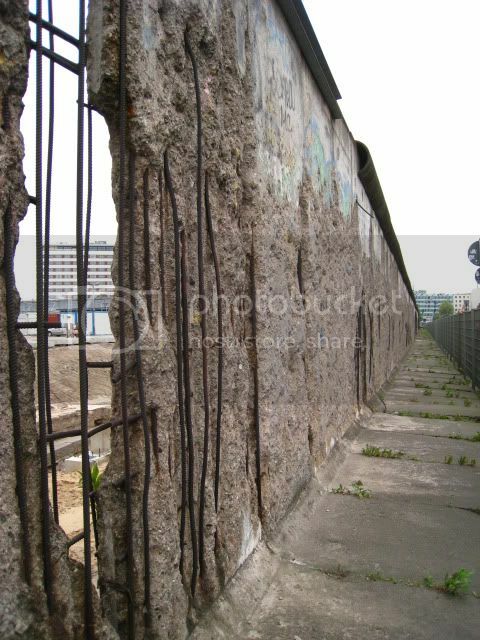 I was longing for more Stasi-related sights, and I remember the LP guidebook mentioned a Stasi prison, so off we went. I didn’t do any research on this because I didn’t think we would go… well, that turned out to be quite a mistake! The prison is located pretty far out, and by the time we arrived, it was just past 1pm. 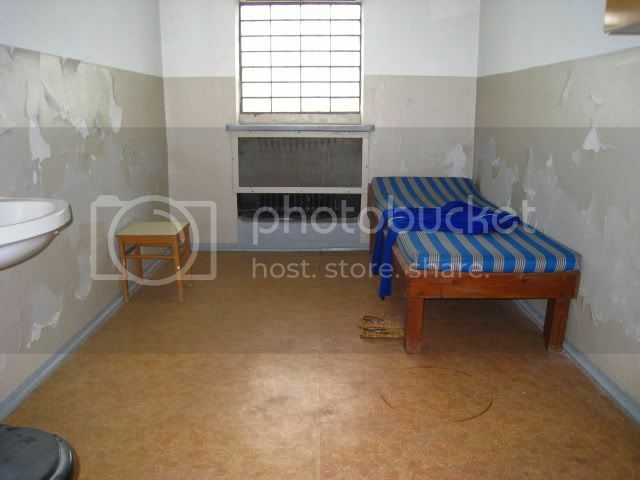 The prison can only be visited by guided tours and the 1pm tour had already left (next tour was 3pm). Fortunately, they let us join the 1pm tour, which began with a 30-min movie in German with no English subtitles. 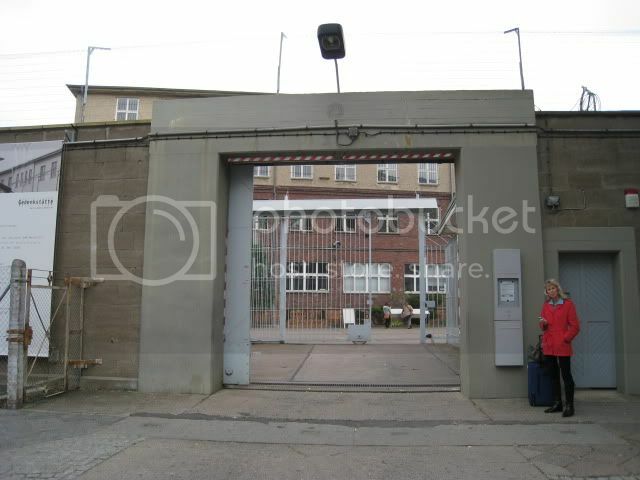 The prison tour is in German (English tours available just twice a week on Wed & Sat), and is led by former prisoners. There are some English displays, but our guide just kept on talking and talking and talking. At each stop, he talks for at least 15 minutes, which for us non-Germany speakers, is almost like torture. We saw the old prison building (with sad-looking prison cells); then the new prison building with its cells and interrogation rooms. 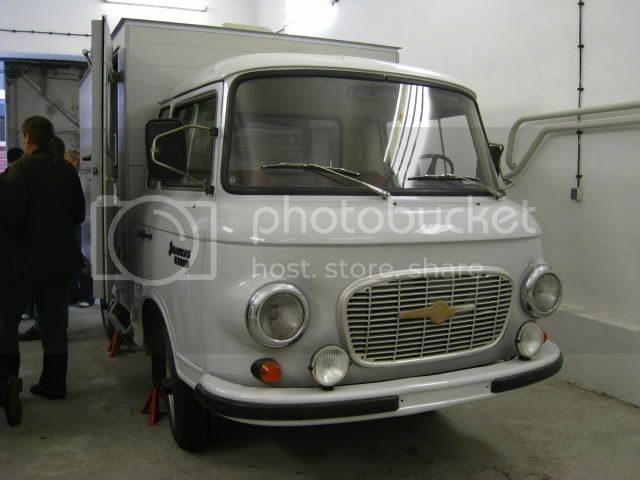 And a prisoner transport van. We could have seen all this in 30 minutes, but with the tour, it went on for over 2 hours. I was bored to tears because I couldn’t understand a word of it. 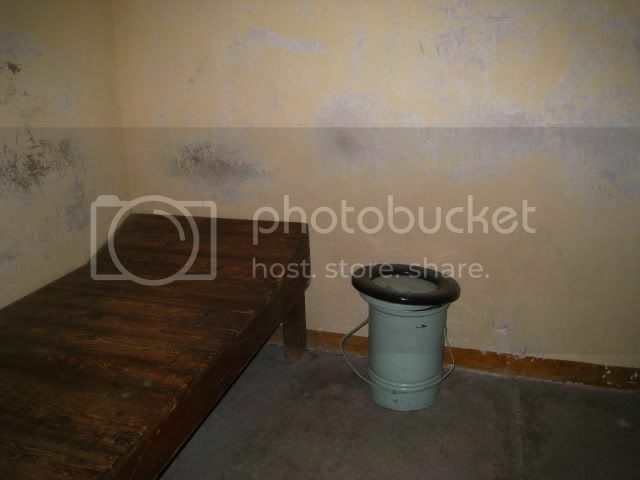 I bet it is fascinating to hear former prisoners to talk about their experiences, so I’d still recommend this place if you go on an English tour. I find it interesting to see the buildings, but I didn’t enjoy the 2 hours I spent standing around without getting much out of the tour. 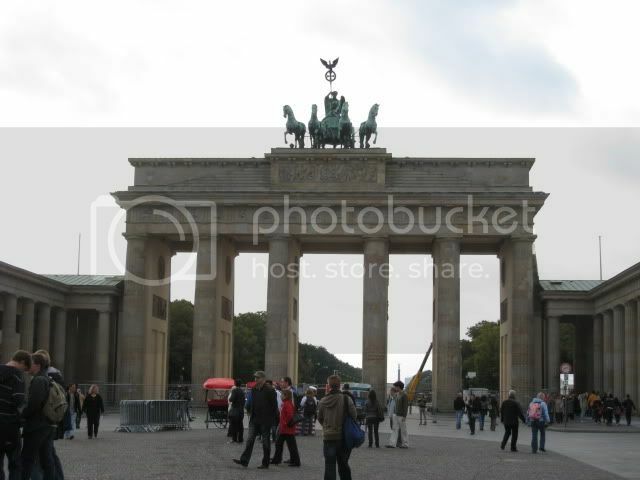 By now, it’s past 3pm and we had to rush back to Brandenburg Gate to join the free walking tour by Sandeman’s at 4pm. We arrived with just a few minutes to spare, so we grabbed to-go sandwiches from Starbucks as lunch (8 euro). This is a 3.5-hr free walking tour. Many walking tour companies offer this, and we picked Sandeman’s simply because it’s the only company that has a tour this late in the day. I wasn’t expecting much, but it turned out to be most excellent. We had a large group – at least 40 people – but our Irish guide Brian did a fantastic job. He had studied acting, so his voice projected well and we had no trouble hearing him. We saw many of the major sights in Mitte, and he did a very good job briefing us on the history of Berlin. I highly recommend this tour. Tips is welcome at the end of the tour, but not mandatory. If you click on the link above, you can see which sights are covered on this tour. By now it’s 7:30pm but our day is not yet over. Our final stop for the day is the huge Bauhaus Exhibition at Martin-Gropius-Bau. This is the last week of the exhibition, and hours have been extended to 10pm. I had high expectation but the exhibition didn’t quite turn out to be what I thought. DH & I have been interested in Bauhaus designs ever since we visited Gropius’ house in Lincoln Mass last year, and a Marcel Breuer exhibit at RISD (Rhode Island School of Design) this summer. This Bauhaus exhibition has many paintings but not as much displays in architecture or designs. DH had a boiled meat plate, and I had some sort of pasta dish. Honestly, I think the food was just so-so, but given that this is the first real hot meal we’ve had in 2 days, we would have enjoyed it even if we were served boiled shoe leather! Dinner was 38 euro. You always have the best trip reports. You should be a travel writer. We took the 8:35am train to Dresden, arriving just before 11am. Our hotel, the Ibis, is a short walk from the train station. We were assigned a handicapped room on the 9th floor. 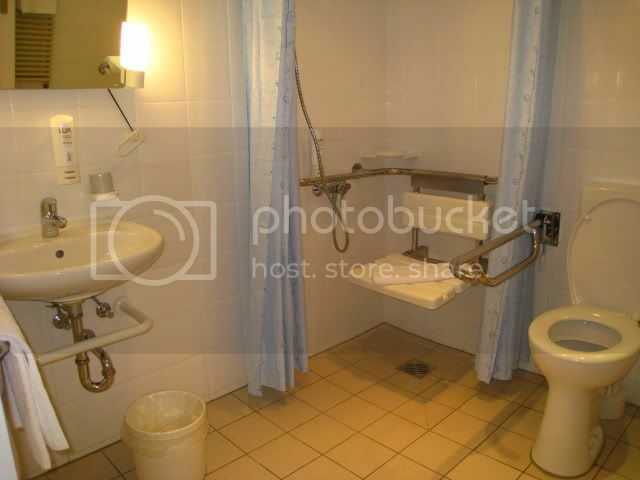 The handicapped room is at least 30% larger than regular rooms. The Ibis is fairly basic, but for only 59 euro/night, it suits us just fine. At 12noon, we arrived at the Tourist Information Center and met up with Fodorite Ingo. As I’ve mentioned before, he was kind enough to get opera tickets for us, as I couldn’t buy those online. We went to lunch - I didn't write down the name or the address, though I'm sure Ingo would be happy to fill in the blanks here. Prices are amazing, with the lunch special (turkey with mushroom cream sauce and side of potatoes) for just €4,90. DH & I really enjoyed talking to Ingo... one of our few chances to interact with locals at length. 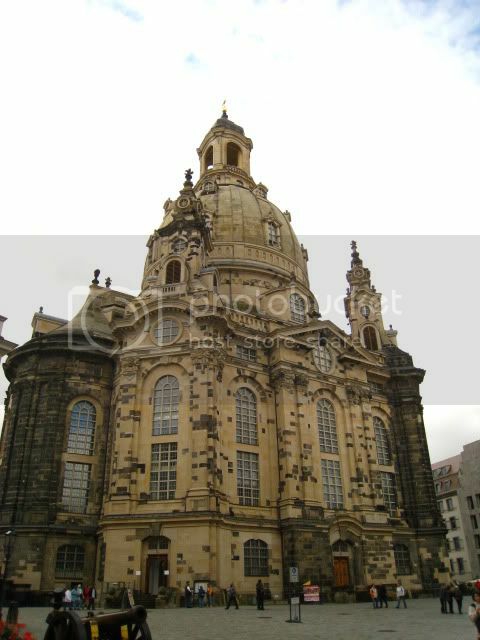 After lunch, he gave us a personal tour of Frauenkirche. http://www.frauenkirche-dresden.de/o...637b1e38d.html It is such a luxury to have him as our guide, as he told us information not available in guidebooks. He pointed out the blackened stones in the church are original stones found in the rubble. 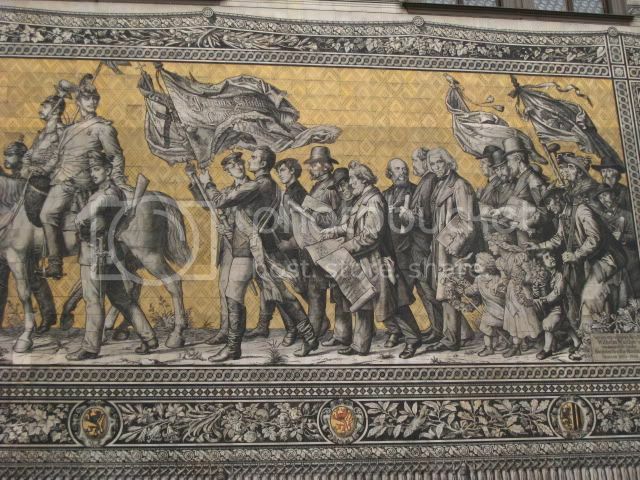 After we bade goodbye to Ingo, we saw Procession of Princes enroute to Zwinger. 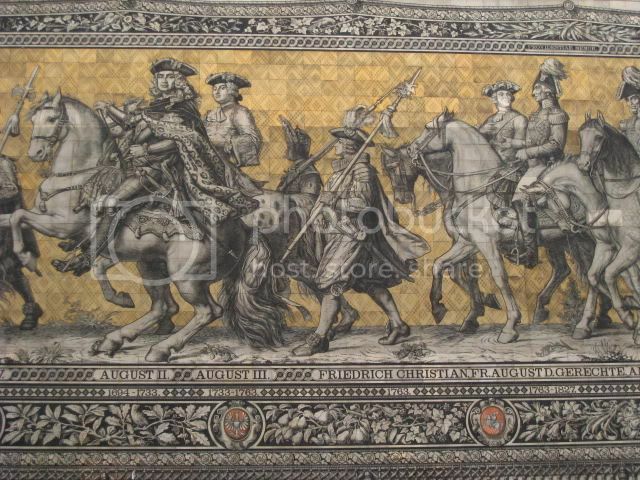 It is an impressive, 102 meters-long stretch of Meissen tiles showing all the kings and emperors throughout the ages. Our first stop in the Zwinger is the Old Masters Picture Gallery (Gemäldegalerie Alte Meister). http://www.skd-dresden.de/en/museen/alte_meister.html Some of the highlights there are the Dresden Canalettos, Raphael’s Sistine Madonna, several Albrecht Durer & Holbein paintings, and 2 Vermeers. There are also quite a bit of Italian Renaissance paintings but I'm not really into those. Let me digress about the Vermeers: the 2 paintings are hung side-by-side. The Girl Reading a Letter is beautiful and exquisite. However, the Procuress is (IMO) crude and ugly. After reading a few books and attending a lecture on Han van Meegeren, I honestly think the Procuress is a van Meegeren masterpiece instead of Vermeer. Rain had stopped when we emerged from the gallery, so we walked around the Baroque courtyard of Zwinger. 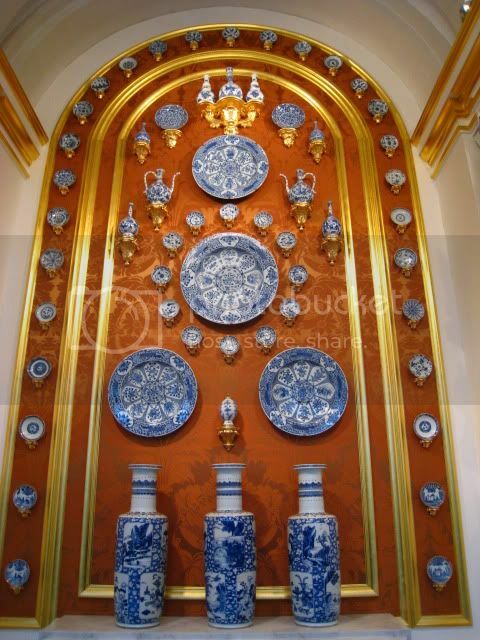 Porcelain collection (Porzellansammlung). http://www.skd-dresden.de/en/museen/...nsammlung.html Unfortunately, half of the collection (the upstairs, Meissen portion) is closed; so only the ground floor Chinese KangXi collection is open. The space is quite small, but I really enjoyed the display. We were fairly tired, so we went back to Ibis for a nap, then a change of clothes for opera tonight. 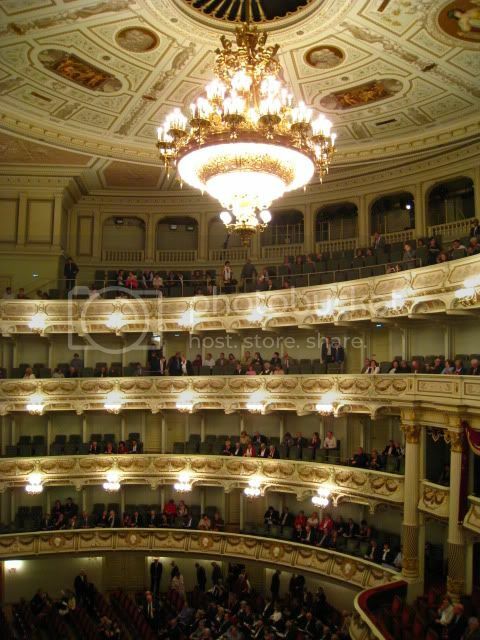 The Dresden opera house was rebuilt in 1985. 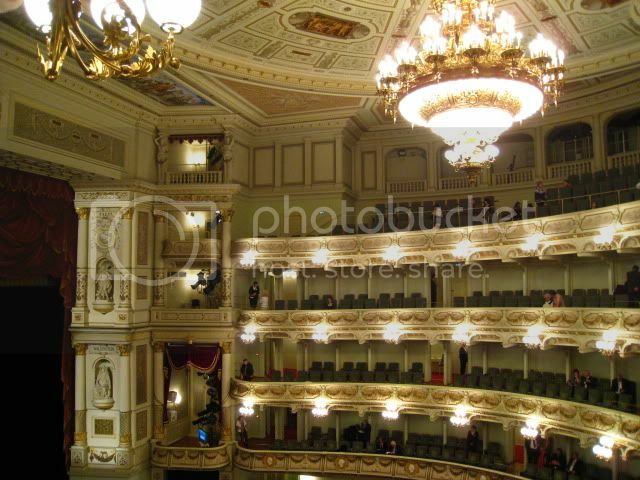 It is beautiful, definitely more so than Staatsoper. I was surprised to see the "Royal Box" section. I thought that was something the Communists didn't approve of? Opera this evening is Il Trovatore. This is our favorite opera production among the 3 we saw on this trip. It premiered in 2008, with modern/minimalist design, but the color scheme is quite stunning. The choreography is great and so is the orchestra and the singing, esp the mezzo and the baritone. We ate dinner afterwards at Alte Meister right next door to the opera, recommended by Ingo. http://www.altemeister.net/de/ I made a reservation by email a week before, thinking that it is probably a popular place frequented by the opera crowd. Well, that was absolutely NOT needed! We were the only diners on this Tuesday evening. In any case, this was an excellent suggestion by Ingo, as we love the décor, ambiance, and the food. The prices are reasonable too. Each month, it offers a 3-course dinner for 29 euro (38 euro with wine). We ordered a la carte because we didn’t feel like eating 3 courses this late. DH had a sweet potato soup and lamb loin chops. I had a cold almond-basil soup and a buffalo mozzarella/bean salad. Total was 53 euro. I had hoped we could walk along the river bank after dinner, but it was cold, windy and raining, so we just hopped on the next tram back to the hotel. What flygirl said. Amazing how many things you packed into ONE day Honestly, if I had known about your interest for the Stasi I had given you a tour of their building (jail and interrogation rooms) in Dresden. 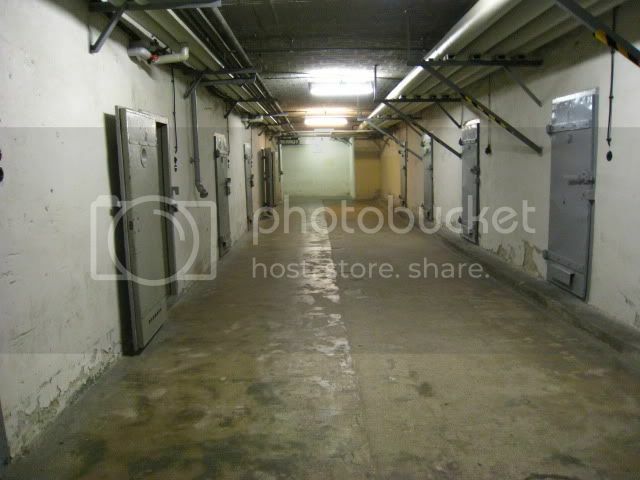 Far more intersting, though, is the infamous prison in Bautzen - I visited with American friends two years ago. Very moving. Thanks for report + pictures! Oh, and hi to Gomiki. Good to 'see' you too!